The Academy Awards officially hit the big 3-0, and for their 30th, they decided to look back on wars past and present fought in the East. Sayonara and The Bridge on the River Kwai found themselves fighting for both Best Picture and Best Director. Normally, those two categories go together, but this was the first time there was an exact match in terms of nominations. The Bridge on the River Kwai would also be a victim of Cold War fears, with its actual screenwriters unable to take credit (or their Oscars) for their screenplay due to being blacklisted. The original novel's author, Pierre Boulle, would be given the prize, despite his inability to speak English. The Original Song category has an odd fixation for Wind, doesn't it? Last year, we got Written on the Wind, and this year we got Wild is the Wind. We got a thing for "Wild" too, as we got both WILD is the Wind and this year's winner, All the Way from The Joker is WILD. A requirement for my picking the winner is whether the song has stood the test of time, and All the Way became one of many Frank Sinatra standards. Given the pretty weak competition, I think this is the right choice of the nominees, but I'm submitting one that wasn't nominated (though given how backwards the music branch can be at times, I can see why). From Jailhouse Rock, Jailhouse Rock, music and lyrics by Jerry Leiber and Mike Stoller. There's something really odd about the idea that the hardest song nominated was April Love (Pat Boone being the most contemporary of the singers from those performing the nominees). It won't be the last time iconic songs get skipped over in favor of the most square choices. Each of the nominees was a love song attempting to top each other in its romanticism. It would have been so nice to have a real rock song to jolt the stodgy music branch awake. The nominees presented are quite nice, but listening to them I thought them all rather bland and safe. Jailhouse Rock is neither. Also, unlike all the other nominees save All the Way, people still listen to Jailhouse Rock. Let me start out by saying I love The Bridge on the River Kwai and recognize its breathtaking brilliance. Lean is a master of epic and I can see why he won. 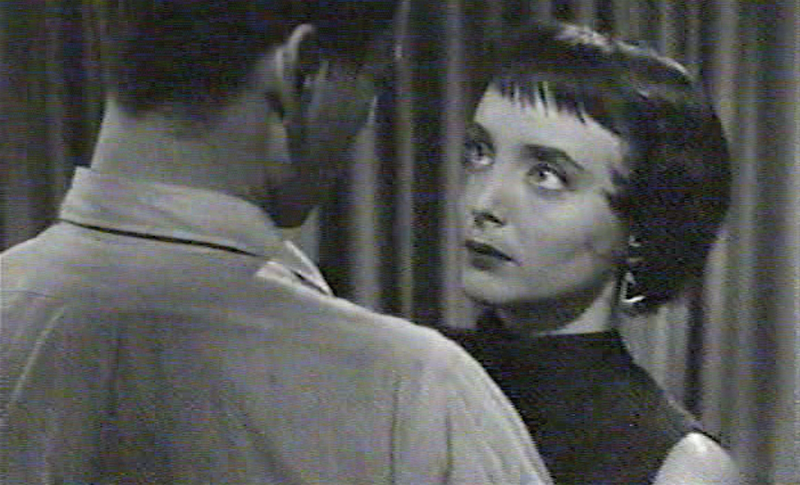 However, after having seen 12 Angry Men, I was astonished that Lumet was the anti-Lean in terms of storytelling. 12 Angry Men, unlike the massive Bridge on the River Kwai, is a very small film (only two settings: the court room and the jury room). However, Lumet kept our interest with these twelve disparate men, brought together by that long-maligned institution: the jury. Each performance is simply brilliant, and if we judge a film based on the acting alone, I think Lumet topped Lean out. I think there might have been better choices than Peyton Place (though I have a special fondness for it because my mother still refers to a place filled with scandal as "a real Peyton Place"). I imagine that for the 1950s, Peyton Place was downright scandalous, but let's just say it isn't as well-remembered now (except, perhaps, by my mother). I still think that nothing really tops Lumet's brilliant film and directing. My choice really has nothing to do with a great love for Jones, but more a process of elimination. Varsi and Lange cancel each other out (which happens more often than not when two people from the same film get nominated in the same category). I've seen Lanchester and found her uninteresting as the Comic Overbearing Nurse. That leaves us with two people left: Umeki's demure Japanese bride and Jones' good-time girl. Is it me, or was Umeki awarded for conforming to traditional Western views of Japanese women as this gentle blossoms? I'd say it's not exactly a buyer's market with this slate. Jayne Mansfield: Will Success Spoil Rock Hunter? We really are desperate to put Lanchester back in. OK, it wasn't horrible, but I still don't quite get the love (though maybe a rewatch will change my mind). However, I am giving it to Mansfield merely because at least she was smart enough to be in on the joke and was fully aware that her vain sexpot Rita Marlowe was a big joke. I found it a light and fun performance, the blending of fiction and fact sometimes eerie. Still, Mansfield if nothing else keeps your attention. Wow: Russ Tamblyn is an Oscar nominee? Who'd have thought? Oh, look, two actors from the same film knock each other out; there's a surprise. No wonder Peyton Place went 0-for-9 come Oscar time. Now, that leaves us three people left. Nothing against De Sica, but I think he's better remembered as director than actor. Now we have two Japanese-connected performances: one who married one, and the other who was one. Red Buttons. Let's remember that. Red Buttons has more Oscars than Peter O'Toole, Richard Burton, Lauren Bacall, Doris Day, Claude Rains, Cary Grant, Edward G. Robinson, Barbara Stanwyck, Marilyn Monroe, Fred Astaire, Judy Garland, Gene Kelly and Deborah Kerr combined (not counting Honorary Oscars). Maybe it was as good a performance as the Academy thought it was, and here is again another case of a comedian getting rewarded for dramatic work. 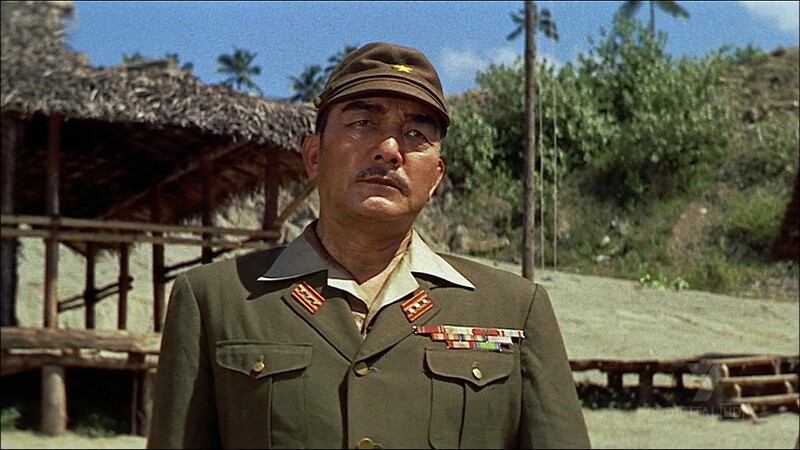 However, I'm sticking for now with my choice from the nominees, Hayakawa as the conflicted POW commandant who finds himself allied with the crazed British colonel in building that bridge. It's quite extraordinary that while Peyton Place received five acting nominations, 12 Angry Men did not receive a single one. This is more astonishing when you see just how powerful the performances in 12 Angry Men were, versus the perhaps more tawdry and mannered ones from Peyton Place. You've got a master class of actors giving astonishing performances in this courtroom drama, and at the top of my list are two: Henry Fonda as Juror Number 8, and Lee J. Cobb as Juror Number 3. The rage within Number 3, the stubbornness, yet the underlying vulnerability makes this one of Cobb's best performances, and certainly one of his most iconic ones. Sorry Red, but I'll never think of you as anything other than one of the few to survive The Poseidon Adventure. I obviously am not going to go to bat for my choice. In fact, I have a whole new slate of nominees, and while Kerr is on both, it's for different films. Now, while I had earlier chosen Masina, I switched to Dietrich, then switched to Bacall (who received exactly one nomination in the whole of her career). 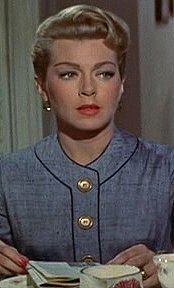 The reason I ultimately opted for Bacall was that she was doing a comedy while dealing at the same time with the eventual death of her great love, Humphrey Bogart. In the morning, she attends to her cancer-ridden husband, and the afternoon, she has to play things for laughs. To do that and do it successfully takes a lot of talent and a great deal of personal courage. Was Colonel Nicholson insane or courageous or stubborn or blind or a combination? This is one of the most brilliant performances of Guinness' career, a man who begins with one goal and then becomes so fixated on another that he loses sight of the big picture. It's interesting that the transition to what got him locked up in the first place (his refusal to work due to his being a commanding officer) by the end was disregarded by him when he ordered his officers to help build the bridge that would help the enemy. He became so obsessed with perfection that he ends up as a collaborator if not a full-on traitor. "What have I done?" is his own condemnation of his folly, and a rebuke to the madness of war. Oh, I'm not saying that Guinness isn't brilliant in Bridge on the River Kwai. It's just that when I think of just how good Tony Curtis was in Sweet Smell of Success, and how his amoral, sleazy press agent should have put to rest the idea that Curtis could not act, I cannot help still being haunted by Curtis' performance. I think all the names on this slate gave brilliant performances, and I would be thrilled with any of them winning. However, I think Tony Curtis as the most reprehensible of men who isn't bothered by his lack of morals deserves the prize. My goodness what a dilemma. I love Bridge on the River Kwai and see why it won. 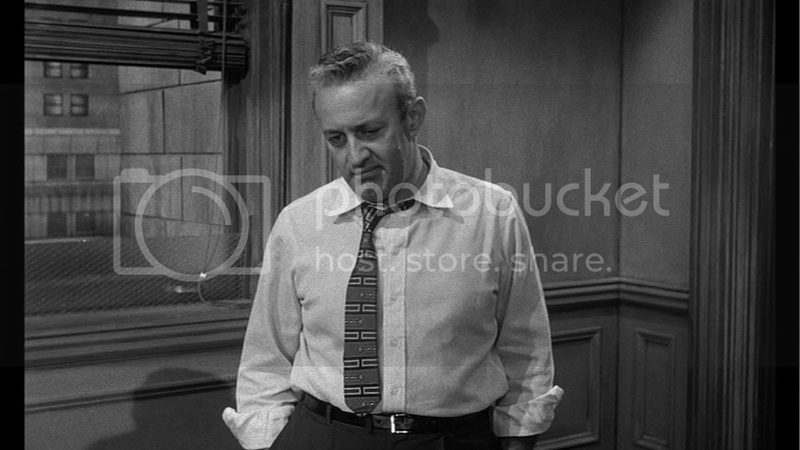 However, as much as I love it my heart still tells me that the equally brilliant 12 Angry Men was the Best Picture of 1957 out of the nominated lists. It has top-notch performances by every cast member, a real sense of suspense and tension, an epic feel despite its very small scale, and it has stood the test of time. It really is just about impossible to make a firm decision as to which should have won between them given how brilliant both were (sorry, Peyton Place). Maybe when I rewatch Bridge on the River Kwai I'll change my mind again, but for now, I select 12 Angry Men as my choice for the Best Picture of 1957. Again, it's a good thing to be spoiled for choice. I continue struggling among my choices, but I think that Sweet Smell of Success is actually quite prescient about the corrupting force of the media and of the power of publicity in our common market of ideas. From the inexplicable interest in the Kardashian family to the rise of demagogues like The Donald, Sweet Smell of Success lays out the ugly side to covering the rich, powerful, and famous. It doesn't shrink from the sleaze of it all. 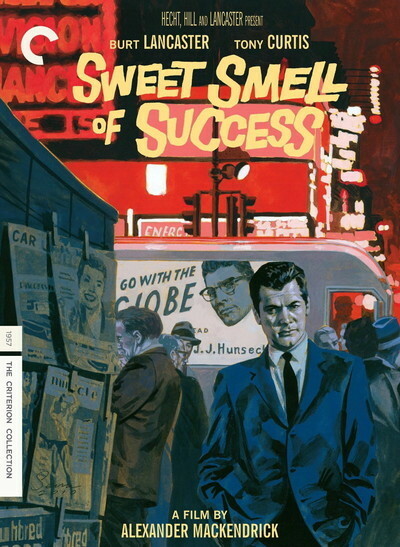 With that, I select Sweet Smell of Success as the Best Picture of 1957.